This is a FREE event. Any donations made at participating Tim Hortons along the route will go to Camp Day, for the Tim Hortons Children's Foundation. 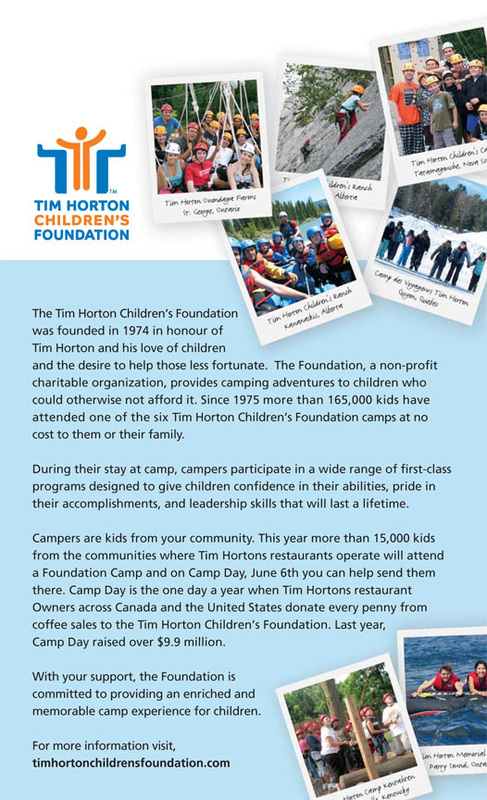 Visit www.timhortons.com for more information on Camp Day. Runners/Walkers meet at the Running Room and run or walk to a Tim Hortons store indicated on the chart above. There will be a water station at each Tim's location. 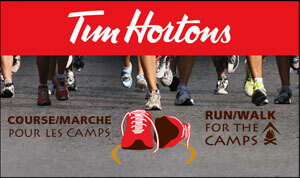 Run, buy a coffee and support Tim Hortons Camp Day!